Increased intra-abdominal pressure compresses the splanchnic circulation (Fig. 1) (18), in both capillaries and capacitance vessels, and in both the venous and arterial systems (14,15,19-22). An intra-abdominal pressure of 20 mmHg or more diminishes blood flow to all abdominal and retroperitoneal organs except the adrenal gland (18,23-25). Vascular compression by elevated intra-abdominal pressure increases the systemic vascular resistance, which tends to reduce cardiac output. The magnitude of the effect of intra-abdominal pressure on systemic vascular resistance varies with the extent and duration of insufflation pressure and the volume status of the subject. In the canine model, Kashtan et al. (22) found that at an intra-abdominal pressure of 20 mmHg, the cardiac output fell slightly in the presence of normovolemia, decreased significantly with experimental simulation of hypovolemia, and increased with experimental simulation of hypervolemia. The adverse effects of hypovolemia (26,27) and the beneficial effect of volume loading (28) in the presence of increased intra-abdominal pressure are now well recognized. Thus, it is recommended that patients should be well hydrated prior to undergoing laparoscopy. At an intra-abdominal pressure less than 10 mmHg in normovolemic subjects, venous return, and therefore cardiac output, is augmented by emptying of abdominal capacitance vessels (29-31). High intra-abdominal pressure (>20 mmHg) decreases venous return and cardiac output (Fig. 2) (19-21,32). Even variation of intra-abdominal pressure between approximately 7 and 15 mmHg has a discernable effect, with more adverse hemodynamic impact at the greater pressure (31,33,34). FIGURE 1 ■ Splanchnic circulation is restricted by pneumoperitoneum. Source: From Ref. 122. 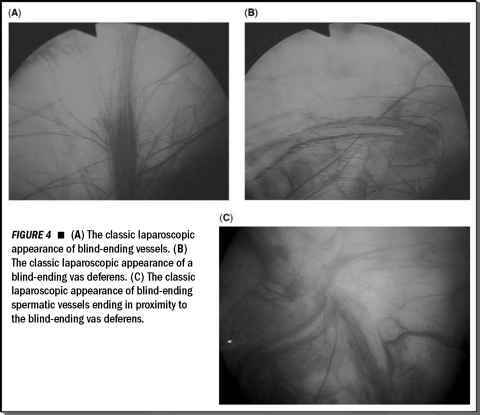 FIGURE 2 ■ Reduction of venous return and cardiac output during laparoscopy. Source: From Ref. 122. The balance between the resistance and pressure changes that determine venous return and cardiac output is dependent upon circulating blood volume. Given normovolemia, an intraabdominal pressure less than 20 mmHg is not associated with major hemody-namic alterations in most patients. The primary advantages of using CO2 during laparoscopy include its rapid absorption and its noncombustible nature. Mild-to-moderate hypercapnia (excess of CO2 in the blood) during laparoscopy with CO2 pneumoperitoneum causes a mild respiratory acidosis. Overall, moderate levels of CO2 absorption elevate cardiac output and blood pressure and decrease systemic vascular resistance. The tendency to reduce systemic vascular resistance counteracts the increase caused by the increased intra-abdominal pressure. intrathoracic (pleural) pressures. The intrathoracic pressure rises along with increases in intra-abdominal pressure (20,22). This impedes venous return and cardiac filling, such that the central venous pressure measured by a right atrial catheter is a poor indicator of cardiac filling unless intrathoracic pressure is taken into account. The complex effects of increased intra-abdominal pressure on hemodynamics are best understood in the context of the volume status of the patient. An increase in intra-abdominal pressure by less than 10 mmHg increases venous pressure more than resistance, thereby augmenting venous return and cardiac output. As intra-abdominal pressure rises, the increase in resistance exceeds the increase in pressure at some point, and venous return falls. 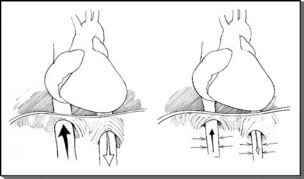 The transition point occurs at a low intra-abdominal pressure in the hypovolemic state where vessels collapse easily. As volume status increases, increases in vascular pressure remain proportional to that of intra-abdomi-nal pressure transition point at greater intra-abdominal pressures, because the full vessels do not collapse (and dramatically increase resistance) as readily. The balance between the resistance and pressure changes that determine venous return and cardiac output is dependent upon circulating blood volume. Given normovolemia, an intra-abdominal pressure less than 20 mmHg is not associated with major hemodynamic alterations in most patients. Increased intra-abdominal pressure also effects pulmonary function in a negative manner similar to that of the head-down tilt position. Elevation and restriction of the diaphragm (38) reduces lung capacity and compliance (30,39), with worsening of ventilation-perfusion mismatch (Fig. 3) (38).